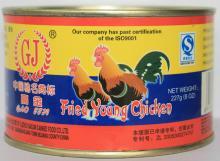 LUZHOU GAOJIN CANNED FOOD CO.,LTD. 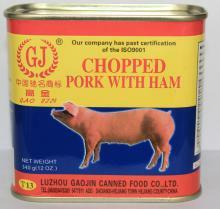 Luzhou Gaojin Canned Food Co., Ltd located at Hejing County, Luzhou of Sichuan Province, was the major canned food exportation enterprise in China, the only canned food exportation enterprise in the south of Sichuan Province. Our company had the right of Import & Export, the code of factory is T13, the registration number in CIQ is 5100/01013. Our factory cover an area of 70000 square meters(the workhouse covered 24000 square meters), have more than 200 machines of canned food producing. To fit the new situation, new requires of WTO, our company strengthen the ability of innovating, core-competitiveness in recently years. We have more than 300 employees, most of them have the experience of canned food producing, include more than 50 technicians, it provide the major human resources to guarantee the quality of canned food producing. 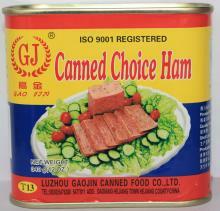 We had the ability of producing more than 10000 tons canned food, had the empty can workshop, luncheon meat workshop, halal food workshop, miscellaneous goods workshop, sterilization workshop, heat preservation warehouse, freezing warehouse. 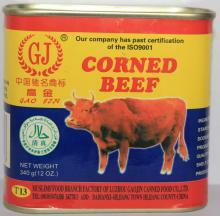 Our company’s major business was producing canned meat now. 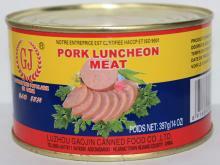 Include: pork luncheon meat, stewed pork, chicken luncheon meat, beef luncheon meat and so on. We had attained the ISO9001 International Quality Control System in 2002, and attained HACCP International Quality Control System in 2003, also attained the QS in 2005. Our product had sold very well in domestic market, and also exported to more than 30 countries, include: Russia, Malaysia, Japan, Korea, Hong Kong, Middle-east. Africa. 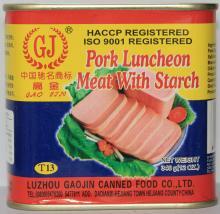 Company Name : LUZHOU GAOJIN CANNED FOOD CO.,LTD.